This week we talk about: Basel III explained, how will it impact gold. Weaponized Intelligence: Mueller report witch hunt disaster for liberals. First Time Since ’93: China plays American game & now runs a current account deficit. Party like it’s 2007! CDO’s now ClO’s – Same Danger? Welcome to the McAlvany weekly commentary. I'm Kevin Orrick along with David McAlvany. Well you did quite a bit of traveling last week David the Kansas governor's prayer breakfast. Plus you spoke for sales and marketing executives. You were up most of the week after we recorded the program. How to go three days five different presentations a wide array of different audiences and it was fantastic. I really enjoyed the variety from giving sort of a client briefing talking about the markets and what we see happening there to looking at various things that we've done through time sharing some of the ideas with the sales and marketing executives relating to you know Dan's newsletter which is Britain still does for four decades and more various financial conferences that we've gone to for time and including our own client conferences the way that radio has played a significant role in our business in the past and who are the podcast as today there's just kind of a way of introducing a group of executives to what it means to iterate and change through time not only in your communications styles and methods and mediums but also with changing consumer interests how to meet those needs so I thought it was a fascinating fascinating trip. Well Dave I think that still boils back to legacy one of the reasons you were invited to the Kansas governor's prayer breakfast was your book on legacy and talking about the larger picture and it really hit me this morning as we were meeting as a company before recording this program. You went back through the story of the company just briefly what you were talking about with the sales and marketing execs and I'm very proud to be part of this company very humbled to be part of the company. Because I'm looking around and there's guys who've been here 20 30 going on 40 years. I mean I'm 32 years here at the company but this company goes back to 1972 and we have been through a lot of different iterations but one thing that has not changed is a commitment to a legacy thought process your dad had it you had it. You wrote a book about it. And I think that that's why the message is going out differently with a lot of other companies out there just working in finance. You know the audience that we had at the governor's prayer breakfast in Kansas was people who are interested in community they're interested in legacy certainly when it comes to public policy issues and certainly tie their faith to that in some way. Lieutenant governor had some great comments and you know we got to meet with a number of federal district court judges and legislators who spend their time both in to pick out a few who are also back in Washington D.C. that was fairly large wasn't it. 600 plus people just shy of 700. Well they've you traveled a lot of places for a lot of reasons. This time you were actually the presenter. But oftentimes you go for education. I remember when you went up to Edinburgh Scotland to take a course with Russell Napier and a couple of other guys Andrew Smithers was up there. That's right at the Edinburgh Business School. We did the practical history of financial markets and this goes back a couple of years. Russell Napier is a really sound thinker a great writer and I've long been a fan of his book The Anatomy of a bear amazing book. And so I wanted to mention just to help a friend. He's doing the same course or a similar course rather in Toronto Canada April 8th and 9th. And it's a must. That's the first time on this continent isn't it that he's done this course. I believe so and if you can carve out the time it's worth doing it if you happen to be in the Toronto area or you're in New York and can get over to Toronto you've got Steven Wright and Russell Napier and a host of presenters that are a part of this two day session and it absolutely is worth it for the perspective that it brings. Practice history. The financial markets is again I think an invaluable time spend. That's Toronto April 8th and 9th. And if you're interested you can go to the Didaskoeducation.org website and register for that event. Well sometimes the markets don't necessarily show the tension underlying rate. Right now the market place is sort of in quiet but I think there's things that we have to talk about Dave. 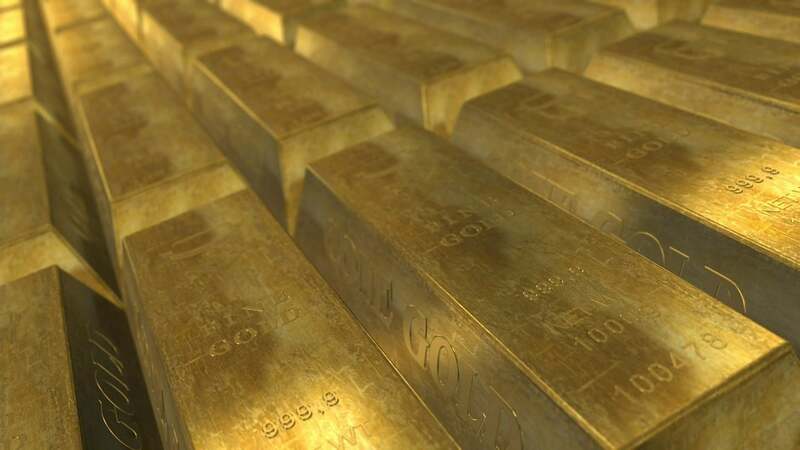 With the Basel 3 There's an awful lot of hubbub about Basel 3 being a boon for gold. I think we need to look at that a little bit closer so that we don't either become disappointed or give wrong advice. The debt markets. You know the debt markets right now are imploding in many ways yet we're not necessarily seeing that because the central banks are coming in and intervening. And then of course I have to mention the Muller report. I mean what I want to let hear for Dave. I want a refund as a taxpayer. You should you should want a refund. The Muller report I mean what we learned and this was summarized nicely by Bloomberg Business is that after spending 30 billion dollars mine buy yours in a term of 40 FBI agents intelligence analysts forensic accountants twenty eight hundred subpoenas.